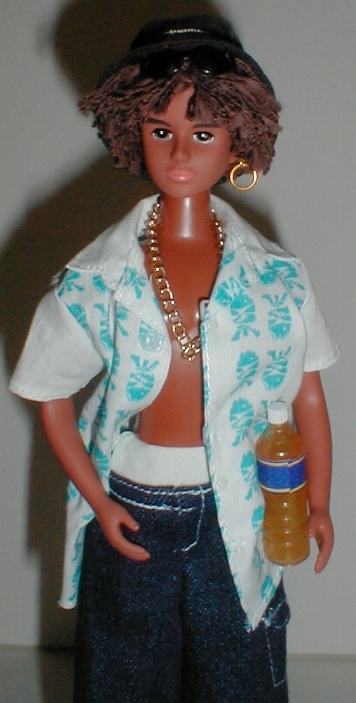 Jennys first Ethnic (black) friend/boyfriend! Jenny has lots of boyfriends !!! 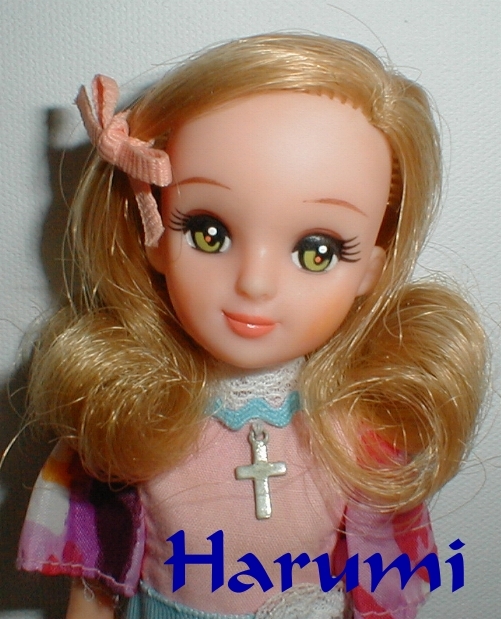 a Sweet 16 doll from mattel/korea on but. After being cleaned,her hair styled and her lip and cheek color restored. Shes quite pretty,im very proud of this doll show find !! 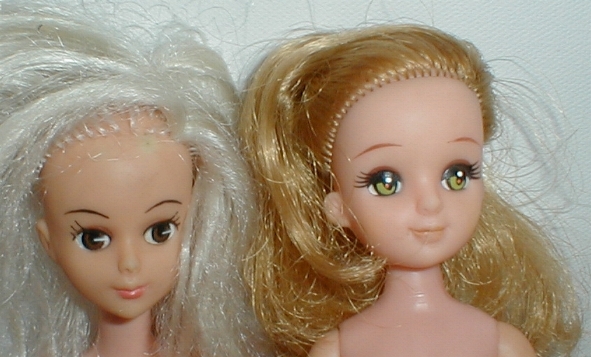 The taller doll with the white hair is Sweet 16 a cheaper doll Mattel produced around 1975. I believe she has the same head mold as Living Eli. The Takara doll you have is Harumi, one of Licca's two best friends from the second generation period. I think Harumi is a terrific find.